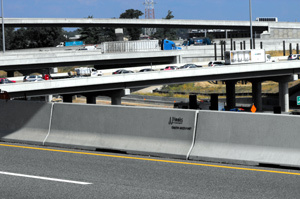 Whether temporary or permanent, concrete highway barriers reduce the risk of head-on collisions from out-of-control vehicles crossing over the median. 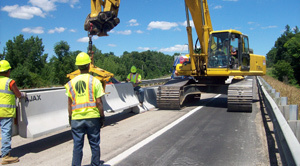 The weight of barriers and the interlocking j-hooks design provide sufficient inertia to redirect an impacting vehicle without requiring attachment to the highway. 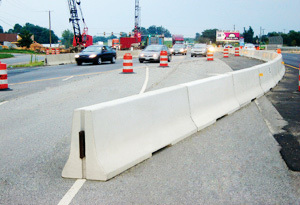 1st Resource Solutions offers concrete highway barriers for safety applications. 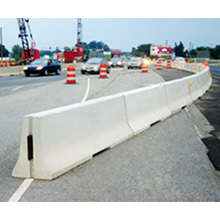 Our traffic barriers provide the fastest setting time with an easy and most secure connection system. For personalized service, or to request a price quote, contact our team of sales experts. "Save time with J Hooks and meet your deadlines with ease." 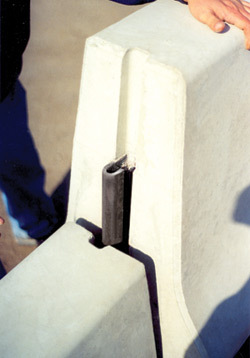 "Meet your bottom line by saving money with J Hooks." "Rest easy knowing your site won't be prone to vandals or thieves."